We are proud to offer Yon-Ka® Paris skincare both on our shelves and in each of our uniquely personal and luxurious facials. We invite you to come and experience our treatments with one of our specially trained Yon-Ka® Paris skincare specialists. Each of our estheticians goes through an extensive training process and attends regular continuing education, ensuring we always provide the best service and technique in our treatments. Visit us today! Essential White Brightening and/or Dark Spot Correcting 1 month complete package: includes 1 60-minute treatment to target pigment imperfections followed by three 30-minute treatment to achieve striking results that will last. Facial includes Peeling Lumiere, the exfoliating peel with a high concentration of AHA. Package will include 3 products: Solution Clarte, the gentle peeling exfoliator; Crème Lumiere, the daily brightening cream; and Corrector Cible, the high precision spot treatment, all for home care as well as 3 gifts with purchase. 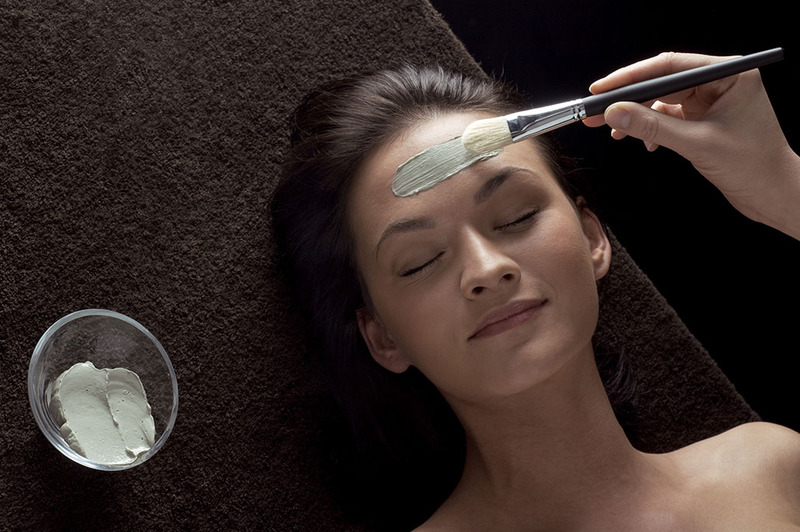 Signature Custom Facial 60/90 – Deep Pore Cleansing – Deep pore cleansing, restoring and relaxing facial. This facial will be customized to meet the needs of each individual’s skin type. This facial includes extractions. Great for all ages and skin types. Deep Hydration Facial – Long-lasting deep hydrating facial. This facial includes extractions and will be customized to meet the needs of each individual’s skin, providing a deeply nourishing experience. Great for all ages and skin types. Global Youth Excellence Facial – Anti-Aging – Global youth facial. This experience involves the finest ingredients and products Yon-Ka has to offer and is the ultimate luxurious facial. You will immediately notice a difference in your skin. This facial does not include extractions to avoid inflammation. This treatment is optimal for mature skin. Smoothing Restoration Facial – Anti-Aging – An extraordinary smoothing and restructuring anti-wrinkle facial. This treatment is designed to help elastin boosting for deep lines and wrinkles and is optimal for mature skin. You will immediately notice a difference in your skin. This facial does not include extractions to avoid inflammation. You will leave with your skin feeling soft and looking smooth, balanced and youthful. This treatment is optimal for mature skin. Essential White Brightening/ Dark Spot Correcting Facial- Hyperpigmentation– Brightening and Dark Spot Correcting facial that is perfect for clients looking to combat pigmentation issues caused by acne, aging, and other skin concerns. This facial also features Peeling Lumiere, the exfoliating peel with a high concentration of AHA. Extractions – For those stubborn impurities. Add-on to any facial service (except Deep Pore Cleansing, in which it is included).